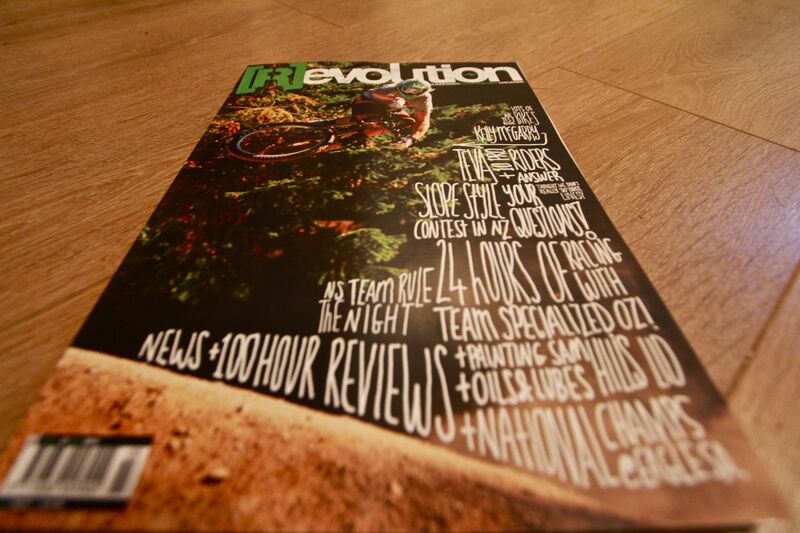 A copy of Revolution issue 27 just dropped through my letterbox. 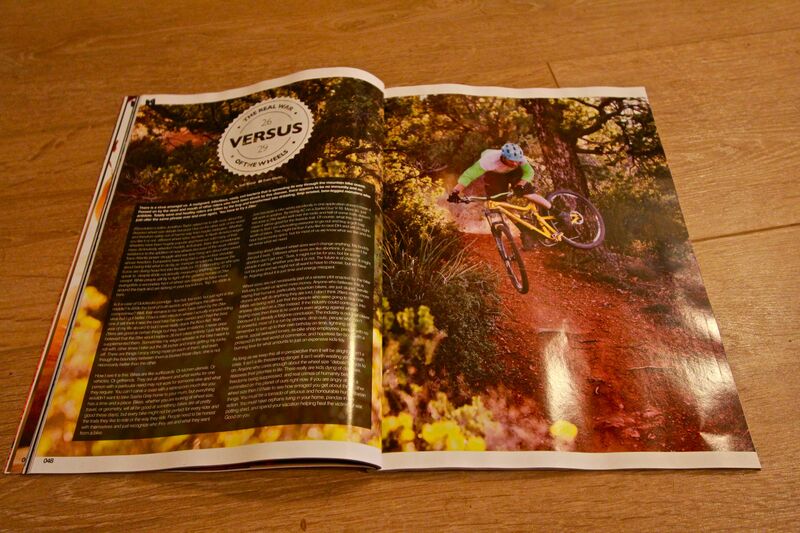 In it there is plenty of rad Australian-centric content and a few bits of my own work. 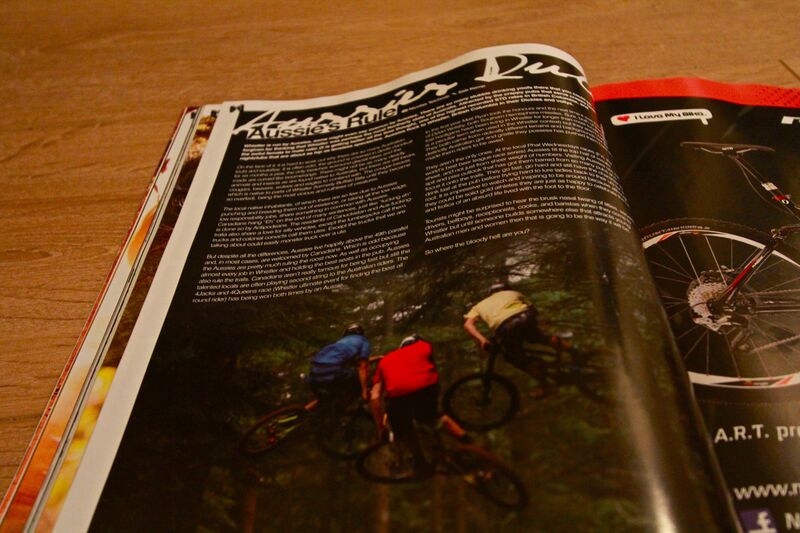 Editor Jonathon Taylor asked me to broach the subject of 29ers as Revolution had been cold to the subject for sometime. More so, I think he felt that because I’m not on the full-time payroll of Revolution I couldn’t do too much damage to the readership. Nic Teichrob took this picture of my back end last summer while in Cumberland. I’m really happy to see it to see the light of day. Great shot Nic. 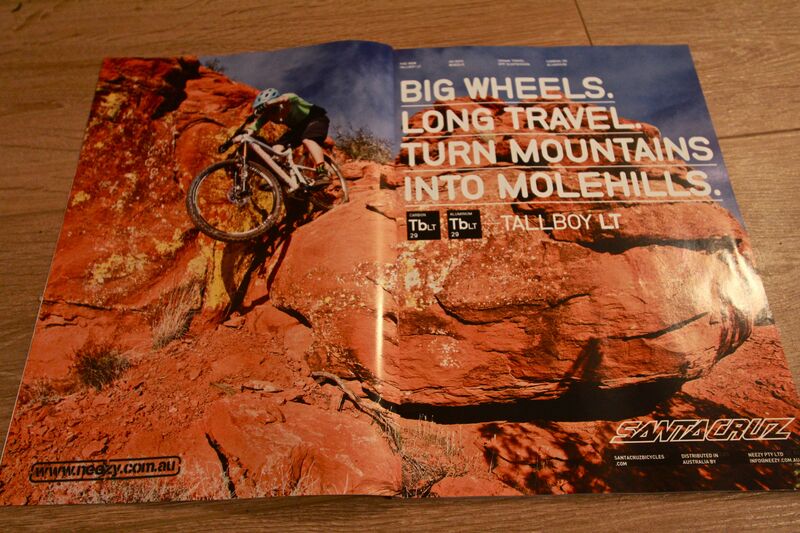 Hoping between editorial and advertising in the same issue I am the body in the Santa Cruz LT double page advert. June 18, 2012 in Revolution. Great article, I bet you’re getting sick of writing about wa-goon wheels 🙂 Anyway here’s my 2 cents. I’ve been riding for over 22 years. 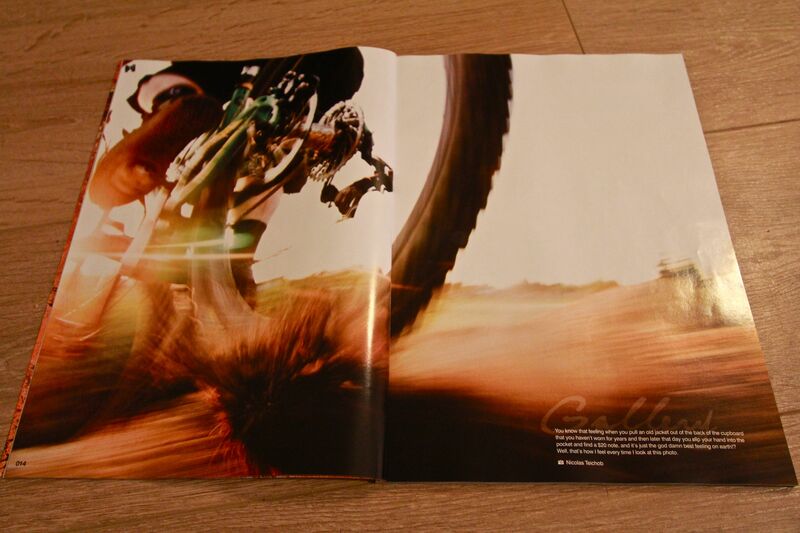 Before full suspension, before 29ers, even before dyna shift! Anyway today my riding “experience” has been enhanced by the tech I ride. What works for me is probably different to every other rider and I’m more than cool about that! Big wheels lil wheels who cares! Just ride! I don’t think the wheel issue is a marketing issue. I think it’s all part of the evolution of our sport. Good on the designers for pushing boundaries! That gives us the Joe Public choice! And that’s great! The key as I see it is not the innovation the designers come up with, but knowledgable sales people that will put “You” onto the “right” bike for your riding style. Too often I’ve had someone try to sell me the latest and greatest without caring about what and how I ride. I’d like to throw in the mix an idea that’s fairly radical in “our” world. How about mixed wheel sizes? Been done before? Eg Titus have done it, Specialized did a while back? Why not 26 rear 650b front? Best of both worlds possibly? With the right geo, suspension setup it could be a killer all mountain bike? Take a look at moto cross, they’ve been doing it for years! So for all you pencil pushing purists out there, remove your heads and think outside the box. Find out what works for you, not what you think you should be sold. Remember innovation starts with an open mind. Nicely put. I don’t necessarily agree with everything you said but I agree with the main thrust of your sentiment.